Ethiopia is a land of plenty with a long and noble history giving rise to ethnic, linguistic and cultural diversity. It is the only African country never to have been colonised. It has more than 80 unique rich ethnic, cultural and linguistic groups. Ethiopia is renowned for its distinctive Christian tradition and association with the Ark of the Covenant. It offers the most dramatic scenery of unsurpassed grandeur (i.e. Simien Mountains National Park), unique rock-hewn churches, the spectacular Blue Nile Falls, the Great Rift Valley, the Danakil Depression, imperial castles, monuments of an ancient civilisation linked with the legend of the Queen of Sheba. Ethiopian Treasures' overall aim is to provide readers the many varied aspects of Ethiopia. 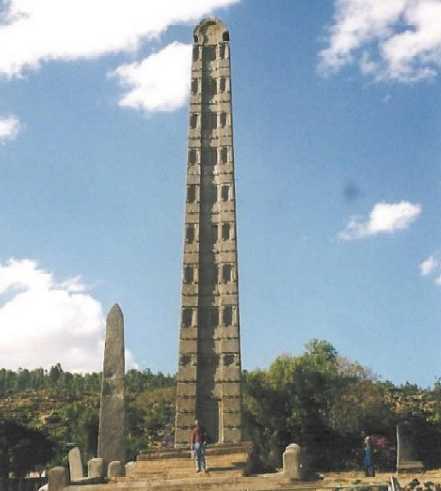 It will, I hope, be a great help to school/college students and travellers, and by using this site readers can either begin to learn and discover Ethiopia, or enhance their knowledge of it. Ethiopian Treasures also provides an educational web directory called Subject Finder (www.subjectfinder.com) which allows access to high-quality web resources for academics, teachers, lectures, students, researchers and the general public categorised by subject areas across all disciplines. It includes educational information, research resources, tutorials, learning and teaching materials. An alternative text only version of this website is available to visually impaired and/or dyslexic people. If you would like to access the text version of this site, select the Text Only Version link located at the top right of each page or visit Text Only Version or use the following keyboard shortcut. If you use Microsoft Internet Explorer, press ALT+T and then press Enter. If you use Mozilla Firefox, press Shift and Alt+T. If you use Apple Mac, press Ctrl+T.